If you know anything about old British motorcycle wiring, chances are you know something I recently learned the hard way: the wiring is positive ground. 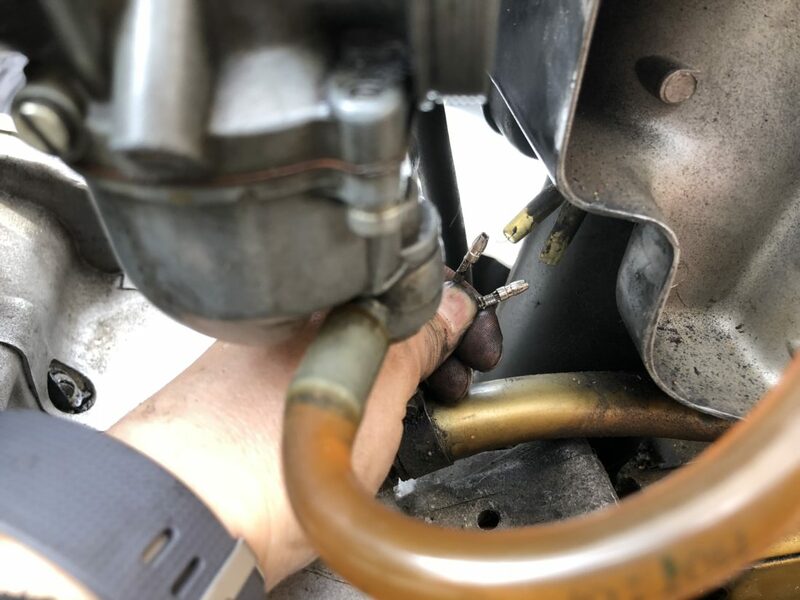 For the rest of you – modern bikes and cars are wired negative ground – the negative terminal of the battery connects to a ground wire on the frame to complete the electrical circuit while the positive terminal connects into all the ignition and lighting systems. On older machines, the whole thing runs in reverse – so the positive battery terminal goes to the ground wire and the negative terminal connects to the rest of the system. 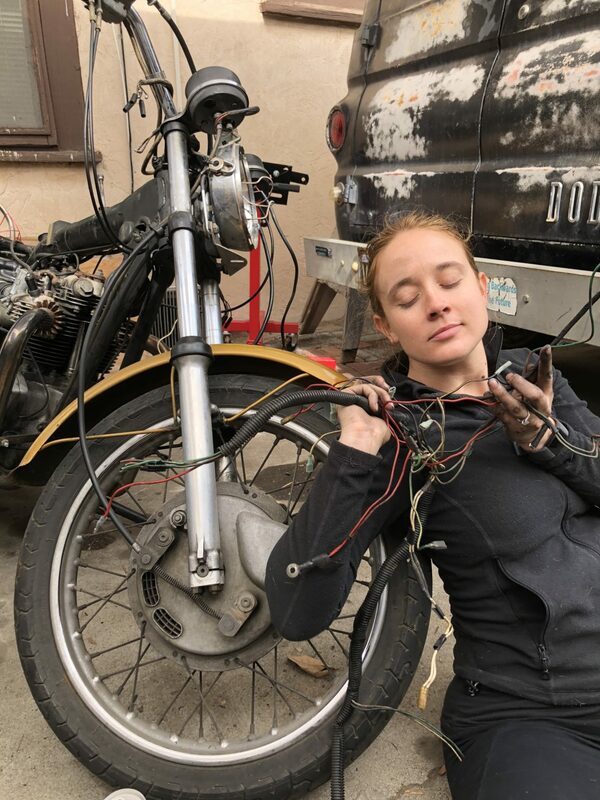 For you total electrical noobs: At its most simple, motorcycle wiring is a loop where the battery pushes electricity out to the ignition (making the gas go boom in the motor) and makes the accessories (lights and gauges) work. Then the motor rotation generates new electricity through a generator (or an alternator or stator – depending on the bike, but they all serve the same purpose). That electricity is then converted from AC current to DC current by the rectifier so the battery can store it, then it’s directed back into the battery to recharge it. Surplus electricity that the battery can’t handle is dumped out of the system via a regulator (usually as heat). It may look innocent – but that headlight is hiding a terrible secret. One day I was replacing a faulty ignition switch in the Lemon Squeeze (what should have been a simple job) and I made a terrible mistake. My husband Jordan took the battery out of the bike to charge it and I didn’t see how it was hooked up. He told me it was positive ground and went back to what he was doing – I had no idea what that meant. Instead of asking, I forged ahead with our friend Adam and hooked it all up backward. 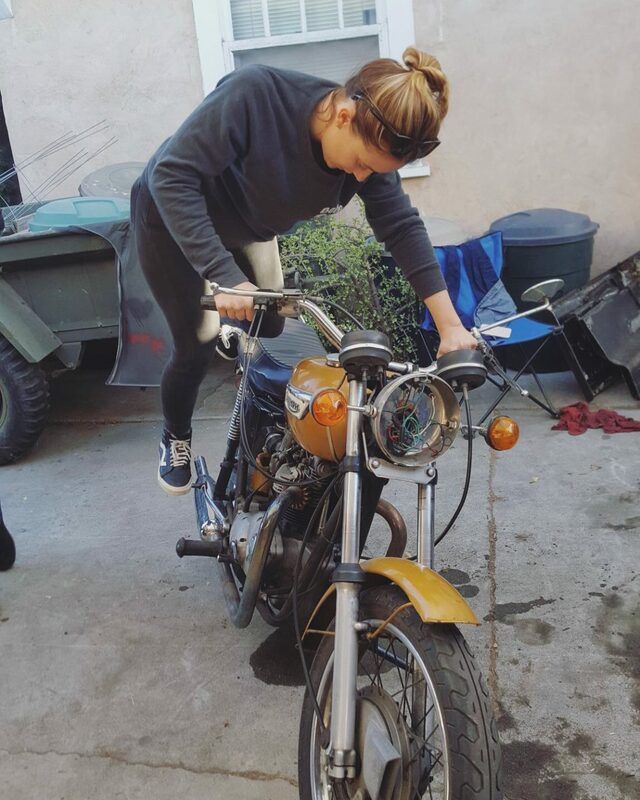 Obviously, the bike wouldn’t start. I flipped the battery around, checked everything … I had no idea what happened. A few days of detective work later and I learned an important lesson: putting a battery in backward will fry a wiring harness pretty quickly. Inside the headlight there were several wires fused together and the whole harness was suddenly suspect. 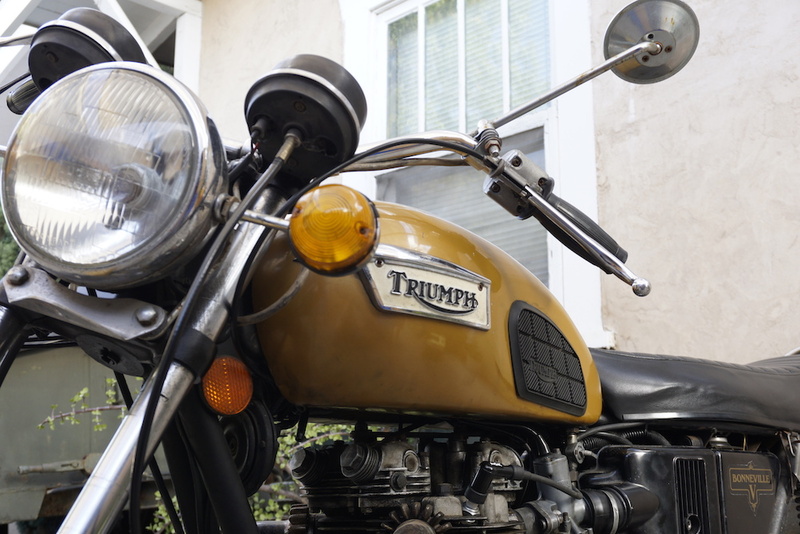 All this backstory explains why I am now rewiring my 1972 Triumph Bonneville myself. I’m not an expert in mechanics or electrical work, but I did buy this bike as an intentional project and I’m not one to turn down an excuse to learn a new skill. It just makes sense for me to (literally) get my hands dirty and learn how to fix my own mistake the hard way. Futile kicking – those melted wires spell trouble. On the advice of a friend who has been rebuilding his own Triumphs for many years, I opted to switch the old gal over to electronic ignition instead of points when I was buying new electrical parts. For you electrical noobs – points are the old way of determining when spark is sent to the spark plugs, in a mechanical way that works with the motor timing and they’re a little fussy to set up. The electronic version of them fudges up electronic ignition for older machines – still using the motor timing. Vintage bike purists will disagree with this decision – but it’s my bike and this is how I’m doing it. I also picked up a modern combo regulator/rectifier, some new ignition coils (these actually send the spark to the spark plug), and a new battery. This eliminates a lot of weird old electrical parts in the system – including the zener diode (similar to a regulator, the zener diode dumps excess electricity generated by the charging system into the frame) and the old fashioned rectifier. I pulled all the wiring out of the bike and took notes as to where I left stock connectors in place. I didn’t want to open the cases and replace the alternator wires, so I’ll be using the stock ones. I’m also leaving the stock connectors for the headlight, tail light, headlight switch, and tail light ground. I am replacing the points, so I removed the wires from the points to the ignition coils. I also removed the turn signals, the horn, and the front brake switch. This is my first foray into wiring and I want to make the new harness as simple as possible to get the bike up and running again. A blissful pose with the melted harness helps to disguise your inner panic. And that’s where I am! Check back in to see how I do on the next part – actually rewiring things and trying to start it.